Long-pending economic reform bill Insurance Laws (Amendment) Bill seeking to raise FDI (foreign direct investment) ceiling in insurance, may get parliamentary nod in the Winter session. “We are totally in favour of FDI. It is our baby and it was the BJP which was opposed to the bill in 2008. We were given to understand that our bill is going to be passed in the House. 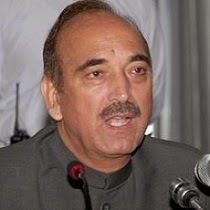 But the NDA government has made some substantive amendments to the bill," Leader of Opposition in Rajya Sabha Mr. Ghulam Nabi Azad told reporters. “We have recommended that the substantive issues like the FDI, which have been diluted by the FII, along with other issues should be discussed, examined dispassionately and objectively by the Select Committee. The bill can be passed in the Winter session and we will ensure its passage," he added. The Insurance Laws (Amendment) Bill was first introduced by the UPA government in 2008, but it could not be taken up in the Rajya Sabha, the Upper House of the Indian Parliament, because of opposition from then main opposition party the BJP. Modi-led NDA government have made as many as 97 amendments in the original bill proposed by the UPA government. Due to the stiff resistance from as many as 9 parties including the Congress, the bill could not be passed in the Budget session. They were demanding it to refer to a Select Committee of Parliament. The government agreed to the opposition demand and eventually referred to a Select Committee.